2015 Pastime Presidential Portraits is an art-focused set that focuses on all of the men who have held the title of the President of the United States. Packaged as a premium-style factory set, each comes with 44 base cards, a sketch card and two inserts. All 44 cards in the main set feature artwork by Juan Rosales. In addition to these are a pair of pack-inserted parallels. American Flag has the iconic red, white and blue hanging in the background. Each of these cards are limited to 44 copies. Platinum parallels are one-of-ones with dark backgrounds. A third parallel, Canvas, is only available as a dealer incentive. Those that order three cases will get at least one of the on-of-a-kind cards. Redemptions for the original artwork used to create the set can also be found. The one-per-set sketch cards are titled Presidential Portraits. Each has original artwork done directly on the card. Nearly two dozen artists are contributing to the set, each bringing their own style and interpretation. Jeff Zapata, Brad Utterstrom, Dan Gorman and Chris Thorne are among those doing art. 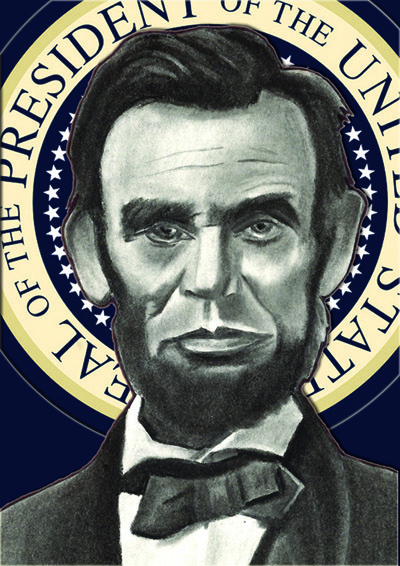 Other inserts in 2015 Pastime Presidential Portraits incorporate memorabilia. 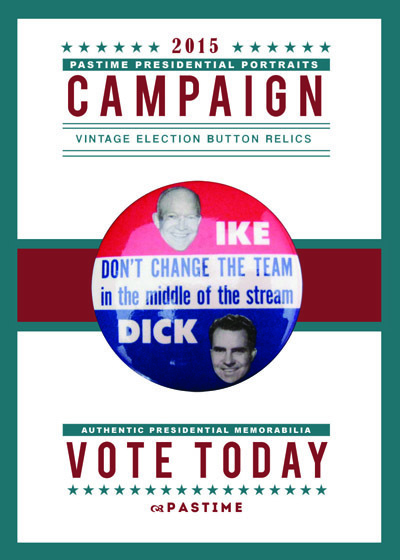 Campaign Relic Cards come with original buttons used in campaigns and by supporters. 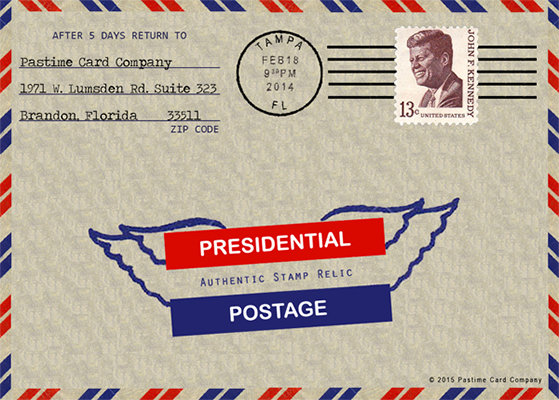 Presidential Postage Relic Cards have an original stamp with one of the Presidents. These are designed to look like old envelopes. The biggest chase in the set for most are the Presidential Penmanship cut signature cards. 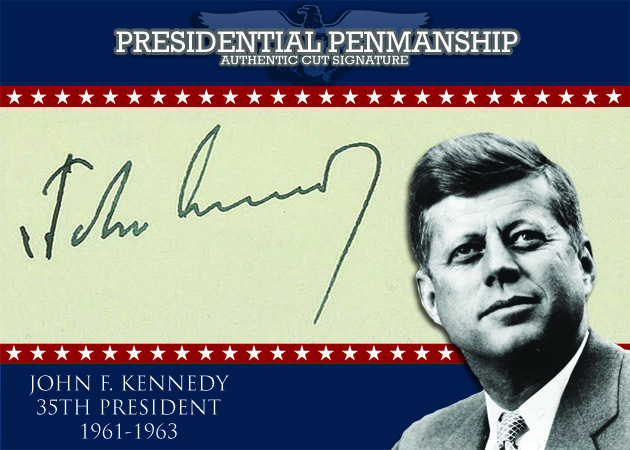 Autographs from eight different Presidents are featured, each a one-of-one: John F. Kennedy, Gerald Ford, Jimmy Carter, Ronald Reagan, George H.W. Bush, Bill Clinton, George W. Bush and Barack Obama. 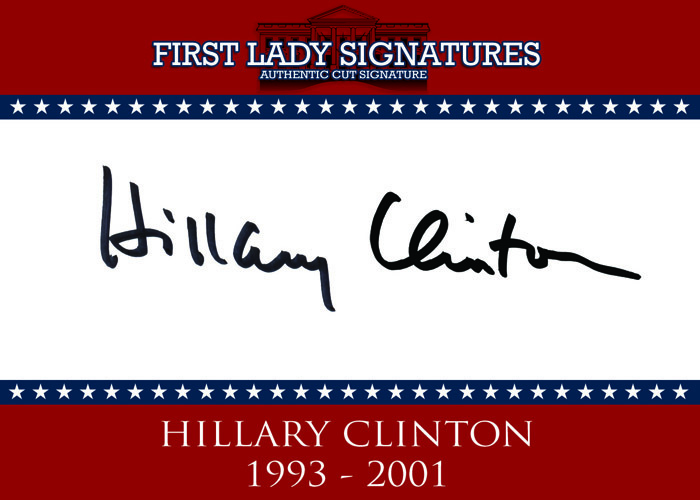 First Lady Signatures take a similar cut signature approach. Limited to two copies each, autographs are available from Betty Ford, Nancy Reagan, Barbara Bush, Hillary Clinton, Laura Bush and Michelle Obama. Uncirculated Presidential dollars from the US Mint are also randomly inserted.